The Achilles tendon attaches the calf and soleus muscles to the heel bone. Thus, is is one of the most important tendons in the body, enabling us to jump, run, even walk. A rip or tear of the Achilles tendon can consequentially be crippling, and extremely painful. At Cherrywood Foot Care, we have the expertise and understanding to properly address any and all Achilles tendon-related injuries and conditions. We perform surgery to repair a torn or ruptured Achilles tendon on an outpatient basis. We administer a local anesthetic first. Next we make an incision in the back of the leg above the heel to access the torn tendon. Then the tendon is sewn back together. If the rupture has created swelling, we may have to delay surgery for about a week until the swelling is reduced. 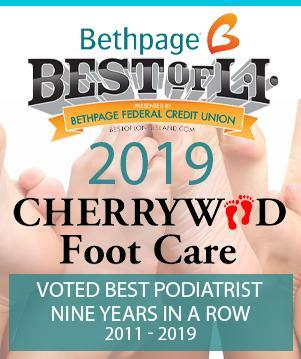 Cherrywood Foot Care‘s team of board-certified professionals wil monitor you every step of the way to ensure the most timely and efficient treatment. At Cherrywood Foot Care, we understand just how painful and frustrating any Achilles tendon injury or condition can be. Our team works to not only repair the tendon and resolve any associated issues, but also instill in them a peace of mind throughout the process.